Debras Random Rambles: Hop to the Music 4 CD Pack Giveaway! 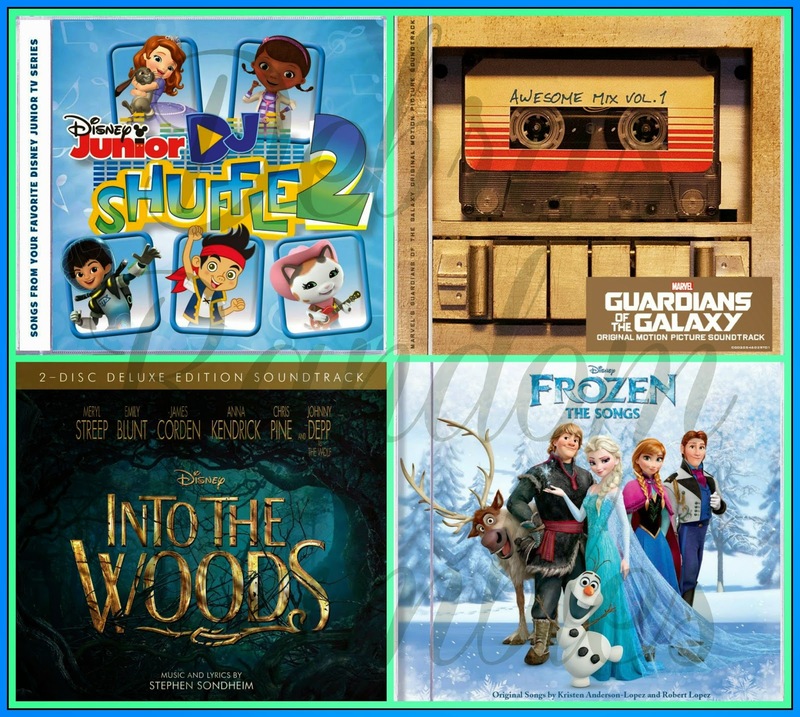 This spring get ready to Hop to the Music with your favorite Disney Music albums! I was so happy to get a chance to review these cd's! My daughter loves the Frozen, but I as a child of the 70's and 80's LOVE the Guardians of the Galaxy. I have been listening to it since I got it! The change to the tunes for the music, make it fun to listen to over and over! My daughter has the Frozen CD in her room. Only so many times I can tolerate, "Let it Go." I am only human! But with her headphones, it makes it alot more tolerable. She's happy and so am I! Disney junior DJ Shuffle: The songs are short enough to keep a little person interested, and just long enough to NOT annoy the parent who is listening as well! 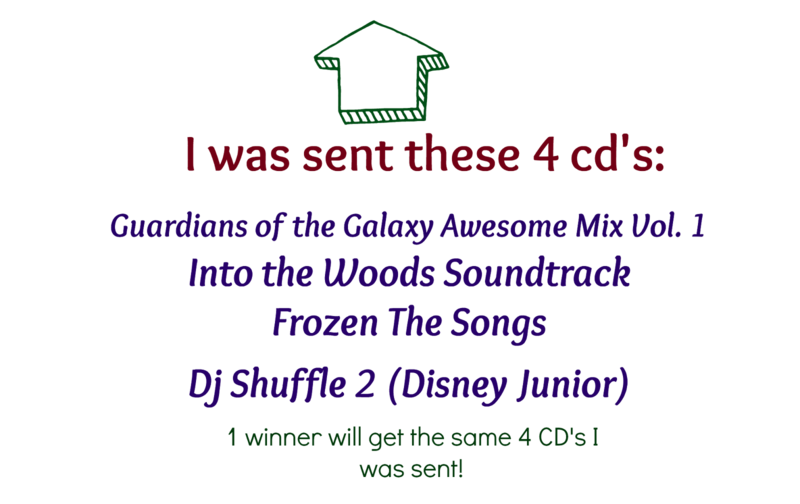 Into the woods is a 2 CD set. its the full soundtrack to the movie and comes with a booklet with the words. These would make perfect additions to any Easter Basket or for any gift. My daughter would listen to the Into The Woods Soundtrack first! I've been rocking out to Guardians of the Galaxy :) Good Luck Everyone! I would listen to the Guardians of the Galaxy Awesome Mix CD first. I would definitely listen to Guardians first! I would listen to Frozen first.